Forix is now featured on DesignRush. To look at more information and details on our profile click here. Businesses around the world turn to Forix for expert Magento website design and development services. 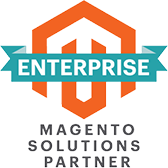 Our Managed Services program provides business owners with a cost effective solution for keeping their Magento site running optimally.